Can anyone describe how this type of yoyo stopper would be installed. I notice the break in the 3 step zig zag along the leading edge. I could assume it allows the LE to be manipulated/folded to pass the stopper point through the opening?? I am actually quite interested in incorporating this method in my next build. That is an R-Sky yoyo stop that the LE rod goes through. Works well but its a pain to replace if it breaks. The break in the stitching is do you can put the fitting inside the LE. Those stoppers come in specific sizes based on the upper LE rod that you are using. They also come in hard and soft plastic versions. If you get the correct size, they are easy to install, but you do have to work them in when you insert the upper LE. You can also drill them out a little if they are a touch too small. 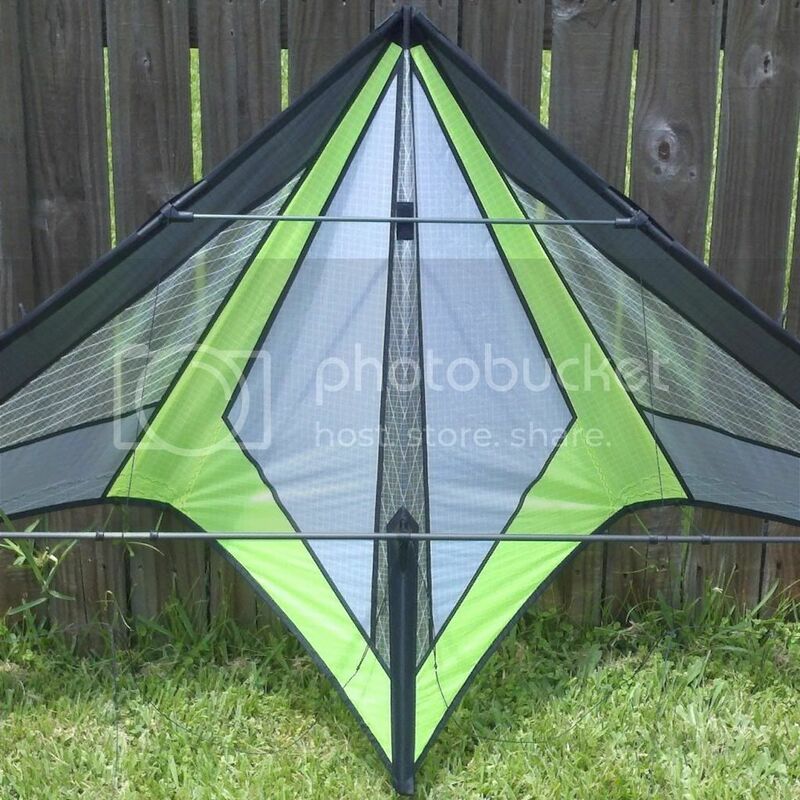 I do like them, but having to practically de-frame one side of the kite in order to replace one is no fun. I use sliced glued end caps to prevent the APAs from moving, so all that has to be undone in order to get the rod through the LE channel. Then again, its not like you need to replace them very often (maybe ever). Once thing it for sure, it will never get pulled off. Actually I'm sorry, I guess I may have been misleading in my initial post. I have used the R-Sky stoppers, in fact I replaced the APA "stoppers" on my Le Quartz with these. I purchased the soft as I was concerned the hard may not easily pass over the rod without possible milling out to fit. What I am actually questioning is how R-Sky did the sail and sewing to encase the stopper inside the LE dacron sleeve. I just can't seem to understand why there was omitted stitiching in that area and can only assume its to allow some process of installing and spar break down removal and reinstallation. Just very curious because it looks extremely clean and snag free. I am also very curious to see if the stopper has been split to allow it to be simply snapped/pressed on rather than slid over the rod into position. I just can't seem to understand why there was omitted stitiching in that area and can only assume its to allow some process of installing and spar break down removal and reinstallation. The break in stitching is where you push the stopper into the tunnel while feeding the leading edge spar in from the bottom during assembly. They don't split the fitting. Ahhhh.... so simple yet for some reason I could not wrap my mind around why is was unstitched like that that. Thanks guys, I'll be doing my yoyo stoppers like this from now on!